The concert opened with Michael Haslim, Peter French`s musical director and accomplished pianist, beautifully playing a medley of nostalgic tunes setting the mood for the performance and theme of moon and night. 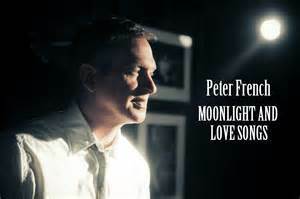 Peter French`s rendition of Blue Moon, The way you look tonight and moon river were just a few of the mellow tunes he sang clearly with emotion and nostalgia. Every note on the piano only enhanced the feeling of the songs. His informative and interesting factual stories around the history of the Jewish song writing that influenced and became part of the American culture also added a depth of interest. Leading up to and into the second half of the performance, he continued to share the chaotic but exciting life story of Harry Nillson, adding to the audience`s appreciation of Nillson`s music. Re-creating the songs from the album, A Little Touch of Schmilsson in the Night, (from 1973) Peter French smoothly sang many melancholy love tunes, exquisitely accompanied by Michael Haslim on the piano; favourites like, I`ll be loving you always, it had to be you, I wonder who`s kissing her now and as time goes by. Peter and Michael make a very compatible and entertaining duo. This one and only performance at Eden court was a very enjoyable and entertaining evening. Renaud Capucon : The Scottish Chamber Orchestra: Beethoven And The Violin Concertos In D op61.